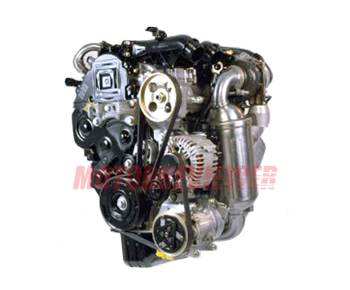 This diesel engine is widespread and used by not only Ford but also Volvo, PSA, Mini, Mazda, and Suzuki. The1.6-liter engine belongs to small four-cylinder diesel engine family named as the DLD, which also includes the 1.4-liter DLD-414 and the1.8-liter DLD-418. The production of the DLD engines is in the UK. The cylinder block is made of light aluminum alloy. The engine has 16-valve two camshaft aluminum cylinder head also. There are timing belt and small chain installed in the cylinder head. All DLD engines have the Common Rail system. The DLD-416 is equipped with an intercooler and variable geometry turbocharger Garrett GT15. In 2011, instead 16 valve head, the engine got 8-valve cylinder head with one camshaft (DV6C and DV6D engines). The Ford 1.6 TDCI diesel engine has excellent reliability, more than the 1.8 version. Cars with the DLD-416 DV6 engine goes more than 100,000 miles without any problems. One serious issue with the 1.6 TDCI is turbo failure. Oil supply troubles due to sludge build-up in the oil feed pipes can cause a blown Turbo.